Posnack Middle School named its athletes of the year at this week’s Middle School Athletic Awards. 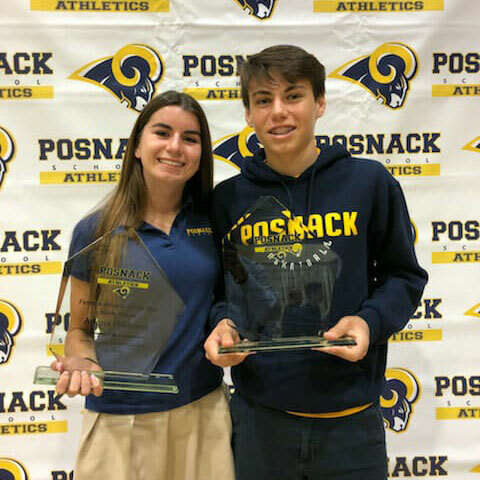 Congratulations to our middle school female athlete of the year Ariana F. and male athlete of the year Pablo S. Mazel tov and kol ha-kavod to all our Middle School Athletic Award winners. GO RAMS!